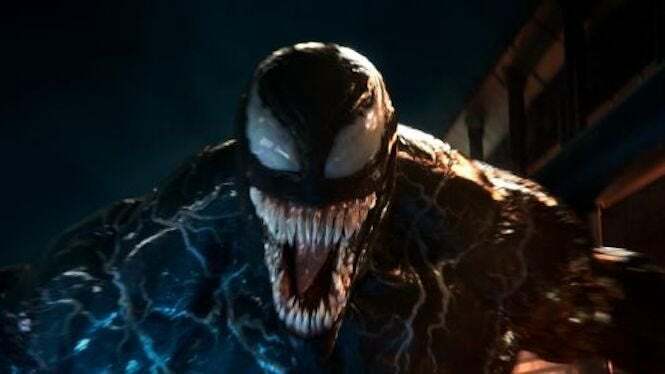 Even with Halloween conquering the box office right now, Venom is still doing reasonably well, cleaning up $175 million domestically since its release. And now Corsair has a special PC case that fans of the movie -- or the character in general -- are sure to enjoy. The accessory company shared this awesome looking case on its Twitter account, noting, “The Venom symbiote has transformed this Carbide SPEC-OMEGA build by @dietecmodes with help from our friends at @MsiUSA.” It’s unknown if the case is up for grabs, but it looks like it was made as part of a giveaway promotion currently being hosted by MSI. You can see the awesome case in the animated GIF below. Make sure you get the full view. As for that Venom promotion, it can be found on this page, which lets you purchase MSI-related goods with a touch of Venom customization (not the case, but still some rather cool stuff), as well as offering prizes, such as a trip to San Francisco or Singapore. And those that make a purchase on select MSI products can also score a free Venom gift box, which consists of a water bottle, a collector’s edition gift box and a mouse pad. No, not the case here either. We’ve asked Corsair and MSI if they have any plans to give away the case down the road as part of a special promotion for the film, either while it’s in theaters or when it comes to home video. So far, they haven’t responded, so it may just be a “one and done” thing when it comes to design. Still, if they ever did offer it, we could certainly use a few around the office. “Do you feel me,” companies? Meanwhile, you can read more about the current promotions and contest here. It’s definitely worth checking out if you’ve been looking to get a computer with the Venom treatment.